Our company caters to a wide market for Plant Growth Hormones. These are designed and formulated by our experienced professionals using quality grade ingredients following international standards. Moreover, our products are appreciated for their features such as quality and excellent performance. 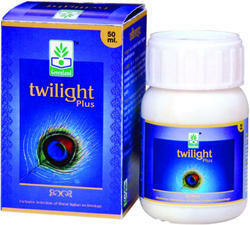 Our offered range of products include Twilight (Plant Growth Hormones). These are available to our customers in the market at reasonable prices. 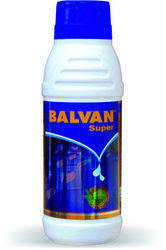 Further, our products are widely used by farmers, gardeners, and the likes. These hormones are used for weed killing, controlling fruit ripening, germination and growth hormones. We are engaged in manufacturing Plant Growth Hormones (Twilight Plus). These are formulated by our talented professionals using only the first rate ingredients such as natural extracts from reputed vendors in combination with employing Italian technology. Moreover, our products are produced in compliance with the international standards. In order to meet the customers' requirements we offer these products in different quantities and specifications. Our products increase the fertility of fruits and flowers and thereby increase the productivity of crops. growth promoting agent, increase fertility of crops. Mix with all types of Pesticides/Fungicides and PGR product. We are engaged in manufacturing, supplying and importing Plant Nursery Growth Hormones (Twilight). These are formulated by our talented professionals using only the first rate ingredients such as natural extracts from reputed vendors in combination with employing Italian technology. Moreover, our products are produced in compliance with the international standards. In order to meet the customers' requirements we offer these products in different quantities and specifications. Our products increase the fertility of fruits and flowers and thereby increase the productivity of crops. Made of 100% natural products. Cytokinin, Auxin, Amino, Alpha Cronotocol. 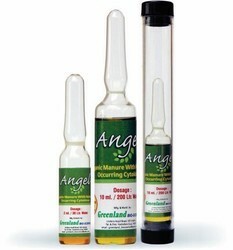 5 ml / 15 ltr pump.